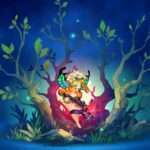 Following the confirmation that Odin Sphere Leifthrasir would be released in Europe in Q2 2016, NIS America has announced that the game will be released in Europe in June. NIS America will be publishing the game and, as announced previously, the game will be localized with English, French, Italian, German, and Spanish text. The PlayStation 4 “Storybook Edition” will be released in Europe through Amazon and GAME retailers. 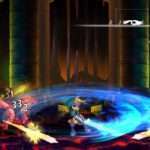 Odin Sphere: Leifthrasir is a 2D sidescrolling action RPG, steeped in Norse mythology or a Wagnerian opera. 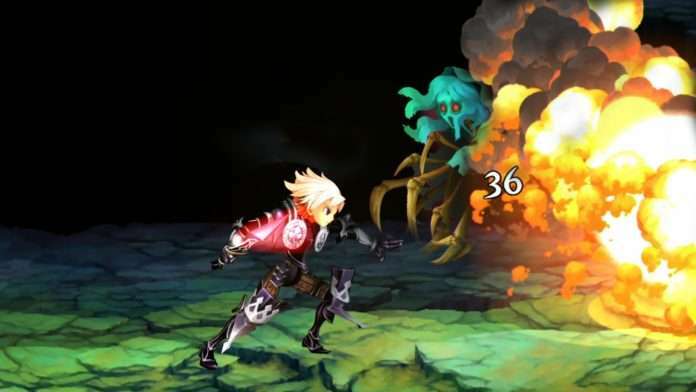 The new game is a complete HD remake of the original PS2 classic Odin Sphere from Vanillaware, the team behind the hit side-scrolling action game Dragon’s Crown and Muramasa: The Demon Blade. Atlus U.S.A. will be publishing this game in North America. The kingdom of Valentine was the most powerful country on the continent of Erion. Its people thrived using the magical power of the Crystallization Cauldron, but it was destroyed in one fateful night. And so, a war over the now master-less Cauldron has begun, involving all the nations of theland and growing more intense by the day. Is the End near, as the Prophecy states? PS4 version of the game. A 64-page hardcover art book, with full color renditions of the glorious Vanillaware art. A Potion Recipe t-shirt to remind you of the most basic alchemical recipes. A collector’s metal slipcase to house the game. Alice and Socrates art print. And a premium outer box adorned with the game’s fantastical artwork! 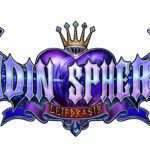 Odin Sphere Leifthrasir released in Japan on January 14, 2016 for the PlayStation 3, PlayStation 4 and PlayStation Vita. The RPG remake has also been confirmed for a North American release on June 7, 2016, and a European release date in June 2016.